Pulpitis is a general term for inflammation of the tooth pulp, which consists of the blood vessels, nerve tissue, and living cells that occupy the hollow interior of teeth (see the Figure). It is characterized by tooth sensitivity that arises from excess blood flow (hyperemia) to the tooth. In some cases, the patient will complain of tenderness in the neck, under the jaw, or under the chin, where lymph nodes are located. Lymph nodes typically enlarge and become tender when there is infection nearby. Pulpitis can be caused by any adverse event experienced by the tooth, including decay (caries), traumatic injury (a sharp blow to the tooth), heavy biting forces, or drilling on the tooth during dental procedures. Exposure to solutions which dehydrate or demineralize the tooth can cause it. These may include tooth bleach, acids found in food and beverages, and even certain multi-care toothpastes. Pulpitis is generally divided into two types: Irreversible pulpitis and reversible pulpitis. Irreversible pulpitis is generally characterized by prolonged sensitivity to cold and/or heat, and sometimes to sweets. It is often accompanied by a continuous low-grade ache, which is aggravated by these stimuli. Swelling may be present. The tooth’s ability to sense a mild electrical stimulus may be reduced. With irreversible pulpitis, the nerve tissue is considered vital (alive), but not viable (it won’t remain alive, due to presence of irreversible inflammatory agents in the tooth). If a tooth has recently undergone dental procedures (fillings, crowns, etc. ), it may be sensitive for a period of time afterward. This is known as post-operative sensitivity, essentially a diagnosis of pulpitis. Depending on the nature of the dental procedure, the age and immune status of the patient, the tooth may get better, or the pulpitis may become irreversible. In some cases, the tooth pulp may die. A dentist is the only one who can diagnose your tooth, and may be able to give you an idea of the likelihood of developing pulpitis before any dental procedures are performed. Keep in mind that teeth are normally living, and that dental procedures on the teeth are surgical procedures, which commonly produce an inflammatory response of some degree. Most often the response is minor; however, if the procedure is involved, irreversible pulpitis may occur. Teeth have at least two types of nerve tissue inside of them: Myelinated and Un-myelinated. These may be thought of as insulated and un-insulated wires. The Myelinated nerves are like insulated wires, and carry sharp pain stimuli to the brain much faster than un-myelinated nerves. Un-myelinated nerves transmit continuous low-grade pain (dull aches). When both types of nerve are affected, there is a good chance the pulpitis is irreversible. How does the dentist diagnose Irreversible Pulpitis? 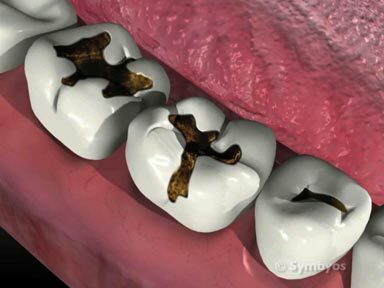 A tooth has four possible pulp diagnoses: Normal, reversible pulpitis, irreversible pulpitis, or necrotic (dead). Differentiating between reversible and irreversible pulpitis, and necrotic tooth usually involves the application of hot, cold and mild electrical stimuli. 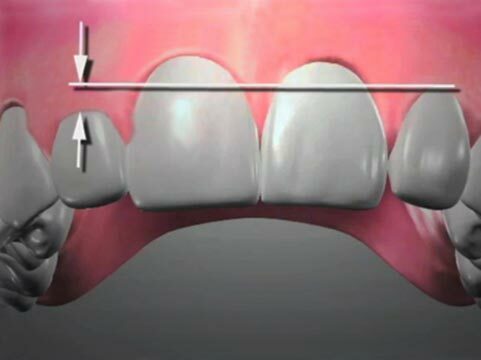 This is done to assess how the nerves inside the tooth respond, or if they respond at all. Prolonged painful response to stimuli supports a diagnosis of irreversible pulpitis. No response to hot, cold or mild electrical stimuli supports a diagnosis of necrotic tooth (i.e. the tissues inside it are no longer living). Sharp response to stimuli that quickly diminishes upon removal of the stimuli supports a diagnosis of reversible pulpitis. Often a tooth with reversible pulpitis won’t be as sensitive to heat. A tooth may have a diagnosis of reversible pulpitis one day, and then take a turn for the worse. Steps can be taken to help prevent that, but they are not always successful. How is Irreversible Pulpitis treated? 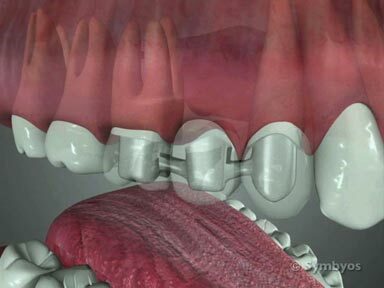 Irreversible pulpitis generally requires root canal treatment to alleviate symptoms and stop the inflammation. An dental X-ray image is generally exposed to evaluate the tooth root and surrounding bone for signs of pathology (disease process). Frequently there will also be infection present, which is also taken care of through endodontic treatment. Sometimes it is necessary to localize the infection with antibiotic treatment before endodontic treatment can comfortably be performed. If the tooth is diagnosed with irreversible pulpitis, and endodontic treatment is not an option, the tooth may need to be removed.